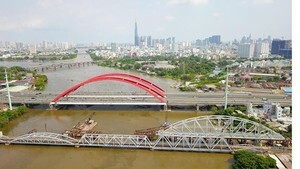 Vice Chairman of Ho Chi Minh City (HCMC) People’s Committee Tran Vinh Tuyen on March 26 worked with the HCMC Standing Committee of the Vietnam Fatherland Front on the project surveying residents' satisfaction toward policies implemented in HCMC in the period from 2018-2020. 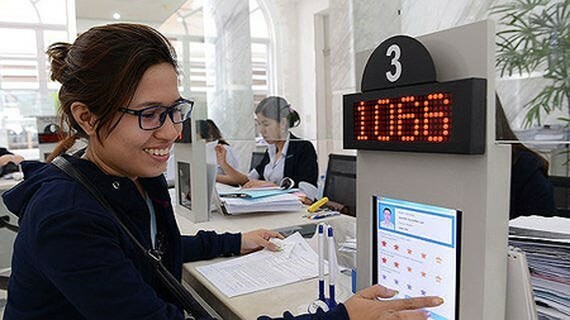 According to the HCMC Standing Committee of the Vietnam Fatherland Front, through the measurement of satisfaction, the city can use the responses to guide policies so that they can reach a consensus of opinion from the public. This is also a means to collect thoughts and recommendations from citizens and local organizations with regard to the sense of responsibility, working attitude, and behaviors of government officials while they are processing administrative procedures for citizens. The assessment process is supposed to happen from April 2018. The HCMC Vietnam Fatherland Front will independently collect ideas from 10,000 random citizens and businesses. The assessment will focus on aspects that attract people’s concern such as procedures for land, construction, business related to the HCMC Department of Construct, HCMC Department of Planning and Investment, HCMC Department of Natural Resources and Environment. Assessment will also be carried out in the district level in certain urban and suburban districts. In the meeting, Vice Chairman of HCMC People’s Committee Tran Vinh Tuyen asked the HCMC Vietnam Fatherland Front to survey the well-being level of local leaders, including department directorial boards and district’s leaders toward their own working place. This is a completely new thing which has never been done before, and it will be done to make precise comparison with citizens’ opinions, he said. “At the moment, several departments’ leaders and local officials are not aware of disturbed citizens or organizations by public servants”. This shows a lack of care from local authorities towards residents, he added. Therefore, Vice Chairman Tran Vinh Tuyen confirmed that the city leaders wished to receive precise assessment so that they could timely correct all mistakes. Currently, local authorities of the city process around 15 million cases of administrative procedures annually. Many departments have to process more than 1,000 cases per day. Hence, this assessment project cannot be carried out on a large scale but be piloted in certain hot aspects that attract the most concern from the public.